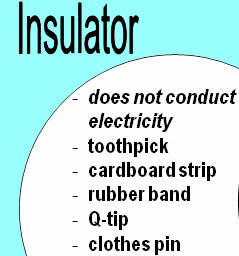 Key Difference: Insulator is a material which is not able to conduct electricity. 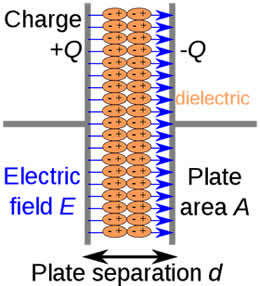 On the other hand, dielectrics are insulators which polarized when an electrical field is applied. Insulators are just the opposite of conductors. Insulators refer to those materials in which electric current is not allowed to flow freely. Unlike conductors, insulators provide greater resistance to the flow of electric current. Electrons in insulators are closely and tightly joined to atoms by ionic or covalent bonds and this is the main reason that no current flows through insulators. Glass and rubber are examples of insulators. Dielectrics are also types of insulators but they have the ability to transmit charge on the application of an external electric field. It happens due to the production of induced charges, which arises due to the application of electric field. The conducting properties are depicted due to these induced charges. In simple language, dielectrics are those insulators which can be polarized. In these materials, electrons are bound to the nucleus and thus possess very little movement. When external voltage is applied then nucleus and atoms get attracted to negative and positive sides respectively. Porcelain (ceramic), mica, glass, and plastics are all examples of dielectric materials. When a dielectric is positioned in a charged capacitor, it reduces the potential difference between the two plates. The measure of a material’s ability to generate an electric field is known as dielectric constant or relative permittivity which is symbolized by the Greek letter epsilon. Therefore, all dielectrics are insulators, but all insulators are not dielectrics. The examples in the chart are opposite most of the examples in the paragraph. I am still confused. Very clear and succint answer!